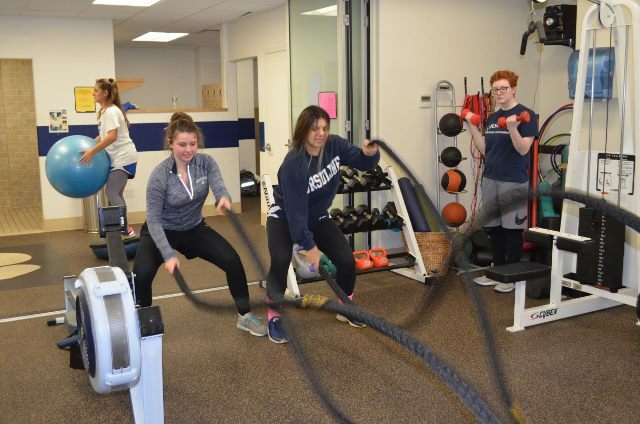 The high school students in our Fitness Class certainly enjoy the days on which they get to do “Monopoly Fitness!” Our fitness room offers various cardio machines, weight training machines, and free weights. Mrs. Geronimo has incorporated that equipment plus specific exercises in a fun and challenging way. 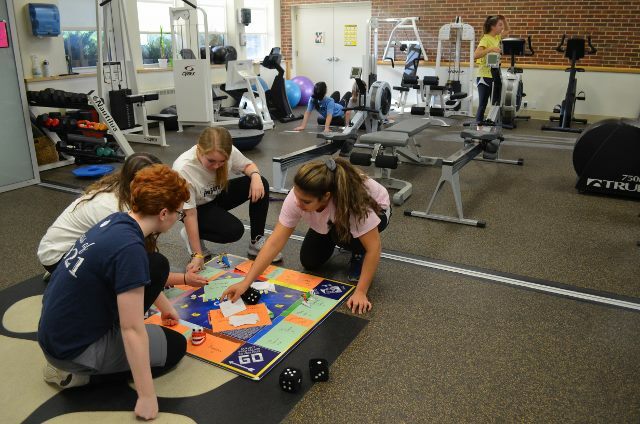 In Monopoly Fitness, students roll the dice and move their game piece to a specific square on the board which instructs them to do a certain exercise. These exercises could be 15 lunges or jumping jacks or perhaps side planks or jump rope for 30 seconds. Since the workout is varied and constantly changing, students remain engaged and enthusiastic. On days when this game is done in the gym, the activities also could include sports skills such as basketball, football and throwing a frisbee. In all these ways, the young women build muscle strength and increase cardiovascular endurance.